We obviously love everything and anything beach, coastal, nautical. So what can make that better? An American flag standing proud and tall in the space. 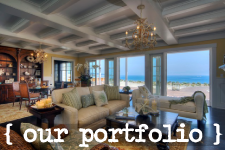 Americans have created their own coastal style that separates us from the rest of the world. 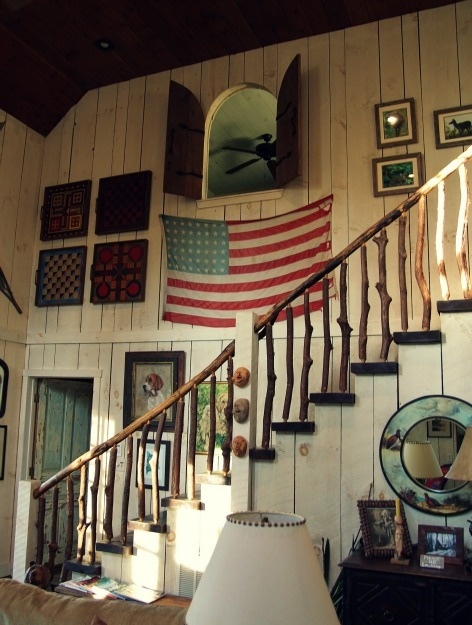 This Americana style usually has a few noticeable attributes. First, and most important, is the American flag. It’s going to be there whether it’s an actually flag, painting or in some other form. Since the flag is red, white and blue it’s not just going to blend in and that’s the point. We want it to stand out and be seen. Also some shabby, chic or rustic furnishings will be found in the space. These furnishings bring in a vintage feel which gives the space a sense of history. Keeping to the historic feel of the space the room will often be adorned with antique finds. Typically something from American history that would have been used in homes back in the day. 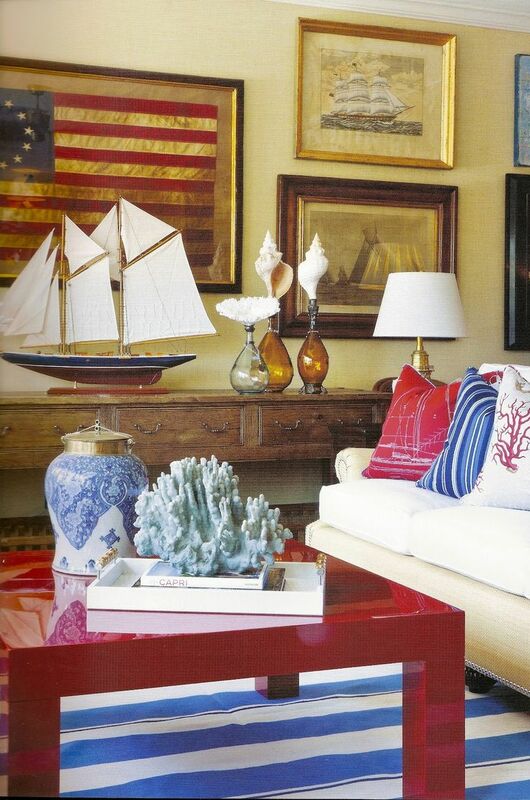 Lastly, the red, white and blue decor that compliments the American flag and bring the room together. 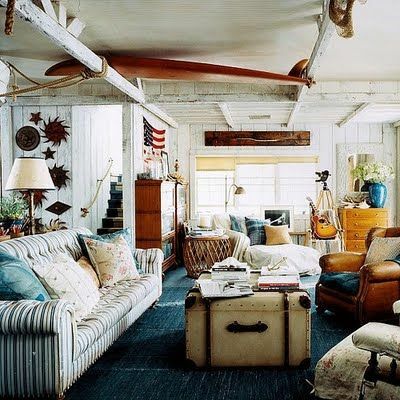 Obviously there are more characteristics and every designer has their own style or tastes so not even Americana coastal room is going to have all of these aspects, but you will notice at least one or two of these in the space. 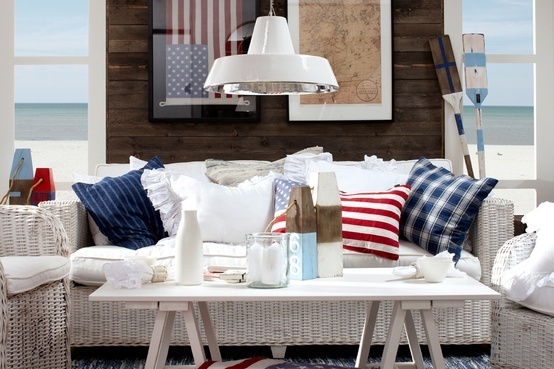 We love the Americana coastal style because it’s a style that was created and shaped here at home. Plus it looks great! What do you guys think?